Doris Granny D Haddock (a.k.a. Ethel Doris Rollins) is an American politician and liberal political activist from the state of New Hampshire. 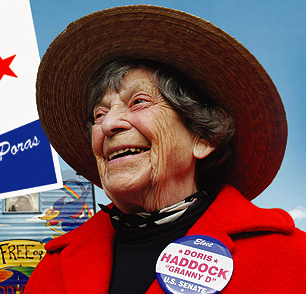 Haddock famously walked across the continental United States in 1999 to advocate campaign finance reform.